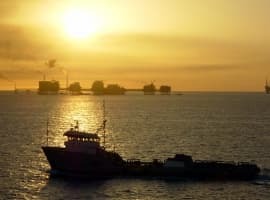 The OPEC deal has raised the possibility of an oil supply deficit as early as the first half of 2017, according to the IEA, but the oil price rally has hit some stumbling blocks in recent weeks on ongoing concerns over whether or not the promised cuts of 1.8 million barrels per day from both OPEC and non-OPEC will materialize. 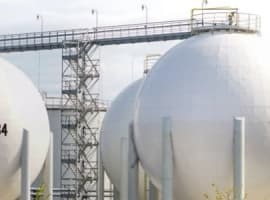 Even if participating countries adhere to the details of the deal that was signed in November, extraordinarily high levels of oil sitting in storage will continue to weigh on the market. In fact, the latest data from the EIA show a surprise build in oil inventories, taking the steam out of the rally for the time being. If the oil futures market is anything to go by, investors are not all that bullish on oil prices, at least in the next few months. John Kemp of Reuters notes that the market contango remains relatively pronounced throughout the first six months of 2017. 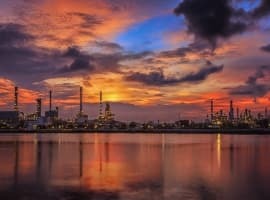 The contango – in which front month oil contracts trade at a discount to oil set for delivery further out into the future – is an indication that investors are betting on a market that remains oversupplied for the next few months. A contango can be interpreted as evidence of, or concerns about, near-term oversupply; since there is a glut, oil needs to be discounted for immediate delivery in order to entice buyers. Brent oil futures for Feb. 2017 are trading at more than a $2.50 per barrel discount relative to contracts set for June 2017. That is certainly not the deepest contango exhibited over the two-and-a-half-year oil bust, but it suggests a concern about on ongoing glut throughout the first half of 2017. However, that stands in stark contrast to the timespreads later in the year. The June 2017-December 2017 differential has disappeared since OPEC announced its deal. That timespread is also on the verge of flipping into positive territory, or backwardation. That is, oil for delivery in June 2017 might actually start trading at a premium to December 2017 oil. Moving into 2018, the Brent timespreads are more firmly in positive territory. What does this mean? The narrowing of the contango from mid-2017 on is an indication that oil traders believe that the market could come into balance by the middle of the year, and grow tighter as time passes. That also means that oil inventories will have to come down. There is a sort of chicken and the egg question in regards to inventories and the futures differentials, which is to say, do falling inventories cause the contango to narrow, or vice versa? Either way, oil inventories will get worked through over the course of the year, likely coming down to average levels at some point in 2017. For now, judging by the narrowing contango as you move out along the oil futures curve, the market is pricing in a “balancing” by mid-2017. That largely backs up some of the projections by the IEA and OPEC, among others. Related: How Much Biofuel Do Santa’s Reindeer Need? Of course, the dynamics of pricing in the futures market is a reflection of what’s going on in the physical world of supply and demand. A lot will come down to whether or not OPEC members comply with their stated production targets. Many of the key countries to watch – Iran, Iraq and Saudi Arabia – ramped up output just ahead of the meeting, and while they have promised to cut, they all have an incentive to cheat. Indeed that is what they have done historically. However, the problem is that the earliest evidence of cheating will have to wait until February at the earliest, which is when January data will be reported. Even then, as S&P Global Platts notes, it will take a few months to truly build a case that any particular member is cheating. That is because the production cuts as part of the OPEC deal are an average for the six-month period from January to June. Theoretically member countries can defer cuts until closer to mid-year, although then they would have to cut much deeper. For now, the best guess is that inventories will start drawing down, reaching more appropriate levels by the time OPEC meets again in June. If that is the case, oil prices should move higher, and the cartel can feel confident that their deal worked. Time will tell. Someone correct me if I'm wrong, but it is my understanding that the "inventories" that are always referenced in articles such as this includes any oil that is out of the ground and in storage someplace, be it on a floating tanker, a tank farm, pipelines, refinery storage, etc.. That is, it is the volume of oil that it takes to "prime" the system of oil supply, plus a little extra at places like Cushing, OK. I recently saw an article that featured a chart of US oil supply in terms of days of supply and it went back to 2010 or 2011, when supply was "normal". The "normal" days of supply was in the 26-28 days of supply range at the beginning of the chart but had increased to a whopping 31-33 days of supply during this so-called glut. Now, does anyone really think that is too much supply to have on hand in case of a calamity? Say, anything to disrupt Ghawar Oil Field? Or do you think they'll get that back up and running in a week after such an event? I actually see the oil markets already in balance with a 250 k BPD surplus for the last two quarters (2-3Q16), see Labyrinth Consulting Services, Inc. That's as good as it's going to get. There's a lot of twanging about supply surplus, when clearly there isn't. There is however a storage surplus (In the US and some parts of mainland Europe and Asia), which is entirely different. Storage surplus has a lot of other entirely different factors that contribute to it, e.g. excessive light oil without significant imports of a heavy oil for a sweet mix etc.